All right, all right, all right, it is Super Bowl Sunday for people who really love movies. 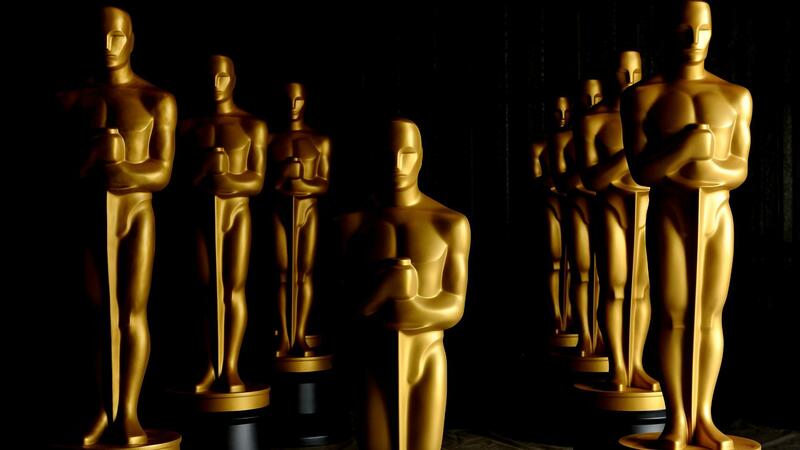 Because I am one of them and because I have too much time on my hands (actually not true but who needs a life) here are my predictions and my favorites for the 2014 Academy Awards, the 86th Academy Awards. I was convinced that Gravity would win best picture but have since decided that the Academy is going to pick the more important film over the more entertaining film. With that said, I loved Nebraska more than either of those films. As much as I love Nebraska and as much as the story and writing bored me to tears in Gravity the groundbreaking movie making especially visually (this is a movie, not a book) of Gravity is stunning and amazing. How can you say that and not reward the director? If the Oscar does not go to Matthew McConaughey I am hurting somebody. I was blown away, in shock, in tears, when I saw this movie I thought McConaughey was so good. How can one man in one performance be a total sleazeball that makes you laugh, makes your cry and before its over has you cheering for him as a hero with tears streaming down your cheeks. I think it is one of the best performances in film history. Unlike the rest of the world I was not that excited about the performance of Cate Blanchett in Blue Jasmine, good, yes, but it just felt contrived to me. My favorite is Meryl Streep but, to be honest, this category does not excite me, even the performance of Meryl felt a bit contrived. But Meryl made me feel more so that is why it is my favorite. Leto was simply sublime in his performance, like McConaughey I was shocked and surprised that he was just so damn good. Watch the movie and just focus in on Leto, can you find a moment that does not feel true? To be honest, after a few minutes I was thinking, is Jared a transsexual and I just do not know it, it felt that real. Lupita’s performance simply breaks my heart, you just have to give the little gold man to her. With that said I loved June Squibb’s performance just as much for exactly the opposite reasons, she was hilarious. People think the Her script was groundbreaking, I did not. I thought it just another take on the love triangle story but it seems to be what everyone wants to win. I semi-hated American Hustle as a finished film, I try and separate that from the script. Nebraska was great, subtle, but really good writing. This goes to 12 Years a Slave simply because it is just so damn important. As a writer I am not that impressed with this category this year but I really, really want to believe that The Wolf of Wall Street was a great script that just got mangled by Scorsese. I do not go to see animated movies, other than the chance to maybe mack on some single moms in the theatre, as a single middle aged man I have no reason to be there, but everyone says Frozen is a lock. Everyone says The Great Beauty is looking like a lock. The Hunt is my favorite as it is the only film in this category I have seen. My Favorite : Whichever one wins until I get the chance to see them. I LOVE documentaries but have yet to see any of these. I do know 20 Feet from Stardom was a box office hit and a crowd pleaser so that means it will probably win. You thought you were watching people in space, need I say more. Most people do not understand that after the director, writer and actors, editing more than anything is what makes or breaks a film. But editors like writers will never be stars, oh well. With that said I think Gravity wins this one and deserves it. Should Gravity win this? Maybe, you did feel like you were watching people in space but that seems to also make the design more one note. 12 Years should and totally deserves to win, you felt like you were in that time and everyone looked like they belonged in that time. Everyone looked fabulous in Gatsby but 12 Years was probably the toughest job and may deserve the Oscar. The costume design is totally overrated in American Hustle, I could have costumed that film with a day of searching Salvation Army’s. But man, did everyone look great in Gatsby. I simply do not remember a film this year that makes me feel like the score was another character in the film which is my standard for a great score. So with that I guess Gravity takes it. They say Let It Go is a lock so who am I to argue. Of course, you can never underestimate U2 to win any award but if you are looking for a long-shot to place a bet on, go with Happy. I love this song and never underestimate the power of a positive pop song and hit to snag some votes. I truly believe that Jackass Presents : Bad Grandpa deserves this one but I also believe that at least half of the members of the Academy would be mortified to hear, “and the Academy Award goes to Jackass Presents : Bad Grandpa”. As big a lock as locks get, back to that you felt you were watching people in space thing. I really, really wish they would combine best sound editing and mixing in to one category and call it simply Best Sound but I guess the sound people have a strong union. OK, I have made my case. Gravity wins but I thought The Lone Survivor was amazing work, imagine recreating all those gun shots hitting all kinds of stuff with people sliding down mountains and so on and so on. Read the last category and then replace the word recreating with the word mixing. And then go Google the definitions of sound mixing and sound editing. I am writing what I have read elsewhere on the Internet. I call it stealing. I actually enjoy this category and have fantasies of winning an Oscar one day after I make my first short film. Unfortunately I seem to never see the shorts until after the awards show so what you read above is stolen from the Internets. Again, more plagiarizing on my part but combine old lady who just died with music and the Holocaust and you pretty much have a lock. Did I say, I DO LOVE documentaries. Enjoy the show and go watch some movies. This entry was posted in Movie Adventures and tagged 12 Years a Slave, 20 Feet from Stardom, 2014 Academy Awards, 2014 Best Actor, 2014 Best Actress, 2014 Best Adapted Screenplay, 2014 Best Animated Film, 2014 Best Cinematography, 2014 Best Costume Design, 2014 Best Director, 2014 Best Documentary, 2014 Best Documentary Short, 2014 Best Editing, 2014 Best Foreign Language Film, 2014 Best Makeup & Hairstyling, 2014 Best Original Score, 2014 Best Original Screenplay, 2014 Best Original Song, 2014 Best Picture, 2014 Best Production Design, 2014 Best Short Film Animated, 2014 Best Short Film Live Action, 2014 Best Sound Editing, 2014 Best Sound Mixing, 2014 Best Supporting Actor, 2014 Best Supporting Actress, 2014 Best Visual Effects, 2014 Oscars, 86th Academy Awards, Academy Awards, Alexander Payne, Alfonso Cuarón, American Hustle, Amy Adams, Aquel No Era Yo, Barkhad Abdi, Billy Ray, Bob Nelson, Captain Phillips, Cate Blanchett, Chiwetel Ejiofor, Dallas Buyers Club, David O. Russell, Facing Fear, Frozen, Get a Horse, Gravity, Happy, Helium, Her, Inside Llewyn Davis, Jackass Presents: Bad Grandpa, Jared Leto, Jennifer Lawrence, John Ridley, Jonah Hill, June Squibb, Leonardo DiCaprio, Let It Go, Lupita Nyong'o, Matthew McConaughey, Meryl Streep, Nebraska, Ordinary Love, Oscars, Possessions, Prison Terminal: The Last Days of Private Jack Hall, Room on the Broom, Spike Jonze, Steve McQueen, Terence Winter, The Act of Killing, The Book Thief, The Broken Circle Breakdown, The Great Beauty, The Great Gatsby, The Hunt, The Lady in Number 6: Music Saved My Life, The Lone Ranger, The Lone Survivor, The Square, The Voorman Problem, Warren Singer by The Consummate Loner. Bookmark the permalink.